The Staff of Heritage Funeral Home would like to extend our heartfelt condolences to the Poellnitz Family during the loss of Ms. Fonda Poellnitz. Fonda Louise Poellnitz Answered the call of our heavenly father and entered into heavenly rest on February 20, 2018. Fonda Louise Poellnitz was born March 6,1959 to the union of James and Annie Pearl Poellnitz. Fonda Confessed Christ at an early age and was a faithful member along with her mother at The White Stone Missionary Baptist Church; where she song in the J.H Hale Chorus and the Gospel Chorus. 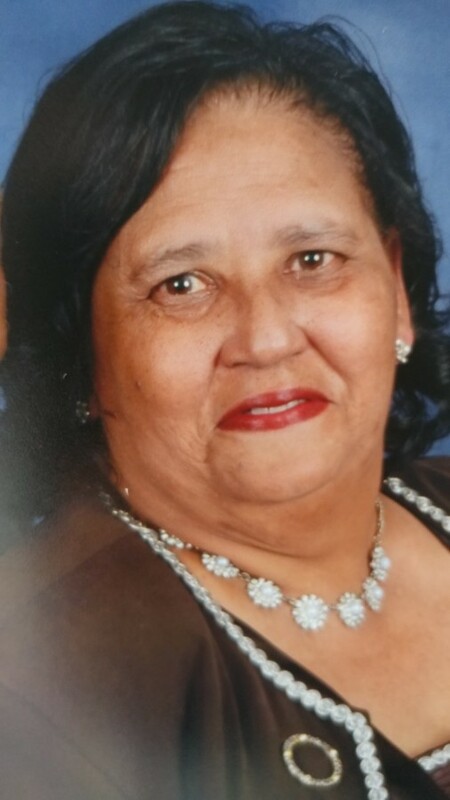 She later united with The Mt Olive Missionary Baptist Church under the leadership of the Reverend Hubert Baker; where she also served faithfully as a choir member. Fonda was also a graduate of Murphy High School. Fonda was a dedicated caregiver and nurse for over 30 years. Fonda enjoy life (cooking traveling and singing were her favorite pastimes). She was a very giving and loving person who would do what she could for anyone. Fonda is preceded in death by her parents James and Annie Pearl Poellnitz and biological mother and father Bettie Dixon and Richard America, Sr. She leaves to cherish her memories a loving and devoted daughter and son Octavia M. Poellnitz and Robert L. Poellnitz. Two devoted grandchildren DeʼCarlos Poellnitz and Santavia Poellnitz, five sisters Maggie McMillan, Claudette Dailey ,Alice Sanders, Sharon(Kenneth) Owens and Verna America. One Brother Sammy (Francinia) America. Two Devoted Aunts Dessie McGlasker and Currie Dixon and a Host of Other relatives and friends.